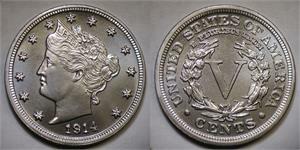 Liberty Head “V” nickels were originally issued for circulation from 1883 to 1912. Five unofficial pieces were also produced at the US Mint with a “1913” date. 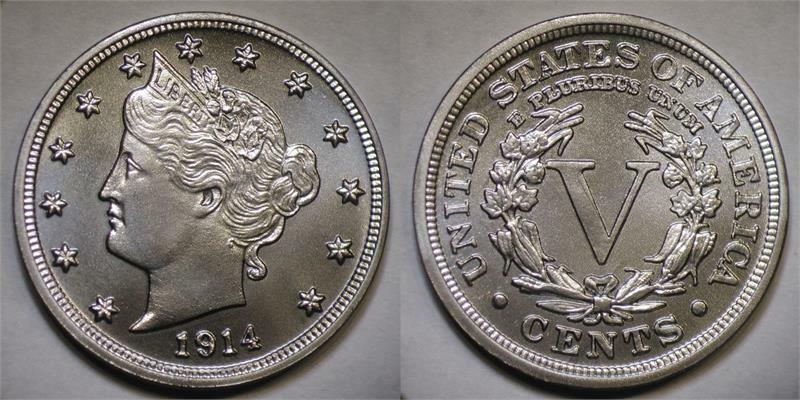 No Liberty Head “V” nickels were originally issued with a “1914” date. Another winner from Daniel Carr. I have a copy of the 1913, but this is much better being struck on a Liberty Head Nickel and a date where they weren't made.